Dishwasher not draining? Does it leak? Any problem with your dishwasher requires thorough troubleshooting. Leave such tasks to our pros in Appliance Repair Cranford, New Jersey. 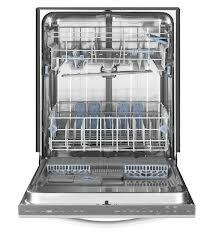 We are equipped with sophisticated diagnostic systems and have the experience to isolate dishwasher issues. Our experts can fix any problem with any type and make and also cover installation, inspection, and maintenance needs in Cranford. So if you ever want specialists in dishwasher repair Cranford services, rely on us. One of the most common problems is leaks. That’s why we are available to cover such dishwasher repair requests urgently. All it takes is a broken gasket, kinked hose, poor appliance leveling, and broken parts for the dishwasher to start leaking. And when this happens, your floor will be damaged too. We provide quick assistance in an effort to stop water damage as soon as possible. As soon as you call, our dishwasher technician will drop by to check, stop, and repair the problem. Whether you need our help with an urgent problem or dishwasher maintenance, our pros come extensively equipped. This is important for the proper performance of the service. Most problems occur when parts break or wear and so we always have spares with us to replace them. But our team can spare you from the effects broken parts have to the performance of your appliance by offering routine dishwasher service. If you use the appliance a lot, trust our service every year. Everything about your appliance is important. From dishwasher installation to repair services, any wrong connection might lead to problems. And one problem might lead to another. Take a valve or hose for example. If they are not tightened or placed in the right position from the start, the appliance will start leaking. You will be disappointed by the way the appliance performs and the floor will flood. Why go through such trouble and extra expenses. Trust any service related to this unit to our team in Cranford to gain peace of mind. Call us for same day dishwasher repair in Cranford.